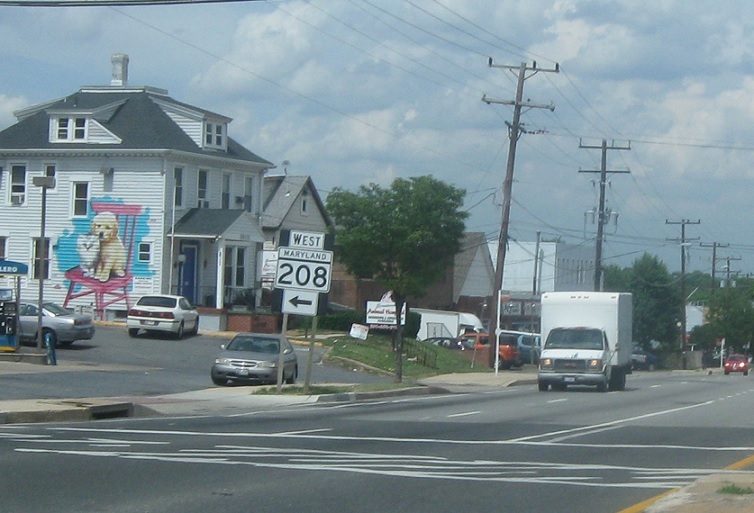 No reassurance shield as we enter Maryland. 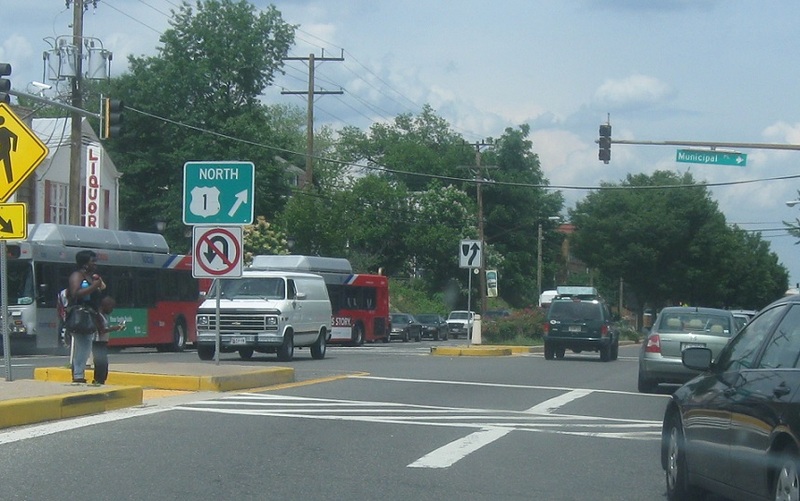 Keep right for 1 north at the 34th St roundabout. 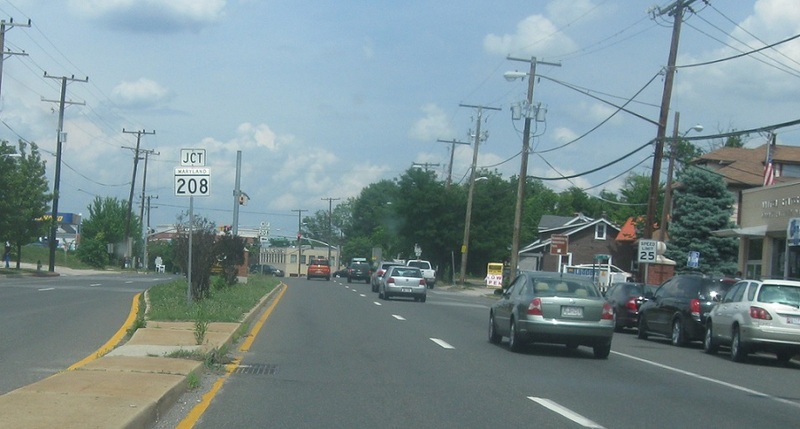 Reassurance shield after 34th St.
A few blocks later, we’ll approach MD 208. 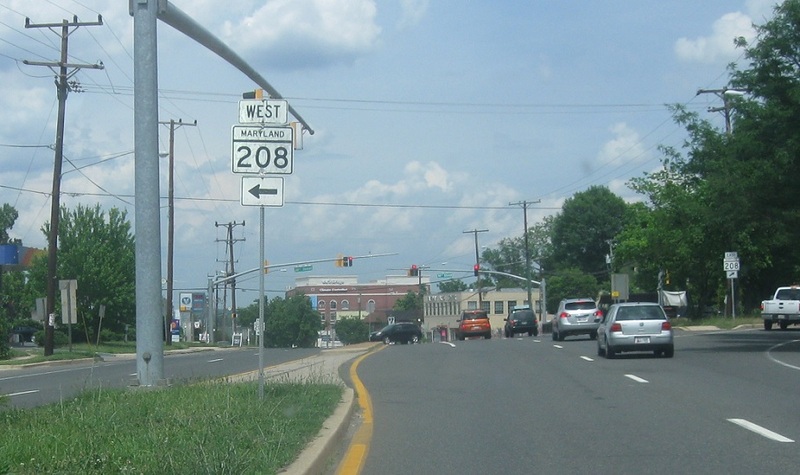 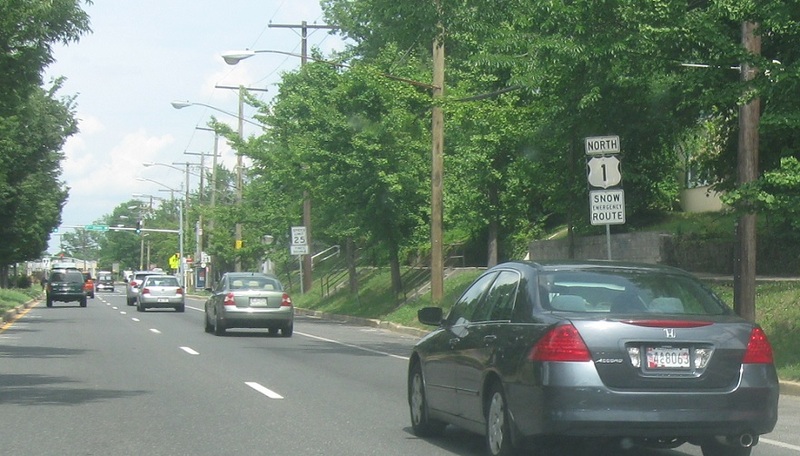 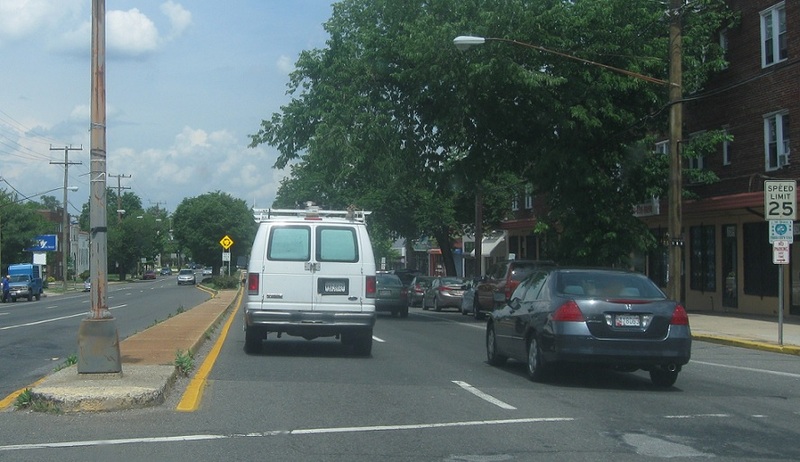 Turn left at the light for Maryland 208 west. 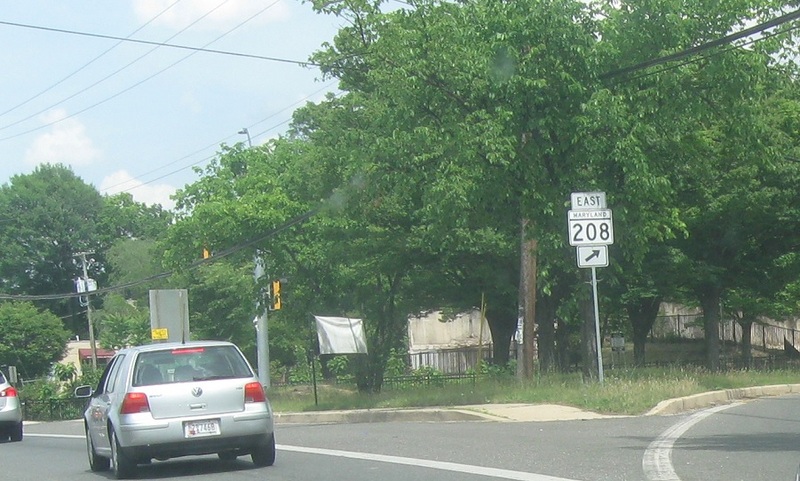 Exit right for 208 east.